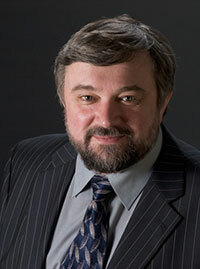 Andrei V. Gudkov, PhD, DSci, a pre-eminent cancer researcher was appointed Senior Vice President, Research Technology and Innovation; Chair of the Department of Cell Stress Biology, and a member of the senior leadership team for National Cancer Institute (NCI) Cancer Center Support Grant at Roswell Park Comprehensive Cancer Center in 2007. He is responsible for building on the basic and translational research strengths of the Cell Stress Biology program in DNA damage and repair, photodynamic therapy, thermal and hypoxic stress and immune modulation. As Senior Vice President, he will assist the President & CEO in developing and implementing strategic plans for new scientific programs and enhance collaborations in research programs with regional and national academic centers as well as with industry. Dr. Gudkov comes to Roswell Park from the Lerner Research Institute, Cleveland Clinic Foundation where he served as chair of the Department of Molecular Genetics and professor of biochemistry at Case Western University. He earned his doctoral degree in Experimental Oncology at the Cancer Research Center, USSR and a Doctorate of Science (D.Sci) in Molecular Biology at the Moscow State University, USSR. He has authored or co-authored 135 scientific articles and holds 27 patents. My laboratory is engaged in a broad research program involving several distinct but highly integrated branches of study. We are identifying new disease-associated genes and deciphering molecular mechanisms of activity of their products as potential targets for therapeutic modulation by small molecules or peptides. Our focus is on developing and applying new technologies for functional gene discovery, which will lead to designing new therapeutic approaches to cancer treatment. Our laboratory uses the Genetic Suppressor Element (GSE) methodology, which can identify genes that are responsible for recessive phenotypes and are thus undetectable by a direct positive selection of expression libraries. The key element of this technique is creation of libraries of randomly fragmented cDNAs that are screened for biologically active GSEs encoding either inhibitory antisense RNA or dominant-negative truncated mini-proteins. The GSE approach can generate gene repressors from known genes and can identify unknown genes, the suppression of which is associated with certain selectable phenotypic alteration. With GSE, we can isolate genes involved in negative growth regulation and those acting as tumor suppressor, drug sensitivity or pro-apoptotic genes. The GSE approach has revealed new genes controlling drug-mediated cell killing. Specifically, we identified kinesin motor protein as a mediator of cell sensitivity to genotoxic stress through a new mechanism involving the “bystander” effect in drug-treated cell populations. Our program is aimed at identifying factors determining this new type of cell stress response. A new candidate tumor suppressor gene (TSG), ING1, was also isolated by the GSE technique. ING1 encodes several evolutionary conserved proteins involved in regulation of cell growth, presumably by mediating cooperation between the p53 pathway and the histone deacetylation complex. The phenotype of Ing1-deficient knockout mice has confirmed the tumor suppressor function of this gene. One branch of our gene discovery program is devoted to isolating new viral anti-apoptotic genes as potential leads to new cellular mechanisms controlling programmed cell death. Three anti-apoptotic proteins have been identified among polypeptides encoded by poliovirus; the molecular mechanisms of activity of one of them causes resistance to tumor necrosis factor (TNF) by eliminating the TNF receptor from the cell surface. This finding presents a new mechanism of virus control of cell death. Our program is being expanded to analyze other parasites and their targets in the host apoptotic machinery. Recently, we have developed a new functional genetic methodology, the Selection-Subtraction Approach (SSA), which allows a direct functional selection of growth-suppressive or killing clones from expression libraries. We consider the SSA our major tool for gene discovery and are applying it to isolate novel cancer-related genes for future drug targeting. Our p53 studies are focused on the mechanism and role of this TSG in how normal tissues respond to genotoxic stresses associated with cancer treatment. Our previous studies have shown tissue specificity of p53-mediated apoptosis and its major role in determining the radiation sensitivity of mammals. 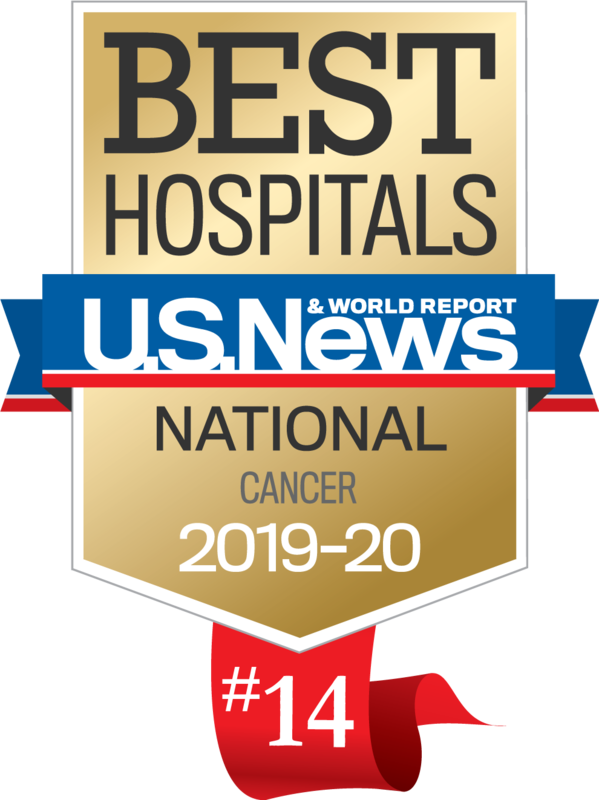 We defined p53 as a determinant of cancer treatment side effects; the new therapeutic concept—targeting p53 for therapeutic suppression—was justified by isolating a small molecule p53 inhibitor that rescues mice from lethal doses of gamma irradiation. Analysis of an animal model of chemotherapy-induced hair loss (alopecia) has indicated that p53 plays a major role in this common side effect, thus opening another area for clinical application of p53 inhibitors. Mechanisms of tissue specificity of the p53 response are being addressed by cDNA microarray-based analysis of tissue-specific p53 responsive genes. This direction of studies is linked to identification of new tumor markers among the genes that are under the negative control of p53, a mechanism we have shown to be a possible underlying cause of elevated prostate-specific antigen expression. The role of p53-dependent apoptosis and growth arrest and the interaction of p53 with other signaling pathways (TNF, Fas, heat shock, etc.) in determining its tumor suppressor function is being analyzed in several model systems. The impact of distinct p53 function (i.e., control of growth arrest or apoptosis) in its tumor suppressor activity is under investigation. We showed that control of radiosensitivity of tissues by p53 in vivo does not involve the p21/waf1 p53-responsive CDK inhibitor. Induction of apoptosis was found to be dispensable for p53-mediated control of genomic stability; moreover, suppression of p53-dependent apoptosis by Bcl-2 delays tumor progression by eliminating selective advantages for genetically unstable p53-deficient cells. Having already defined ING1, Bloom syndrome and SUMO proteins as p53 interactors, we are continuing the search for cellular modulators of p53 expression and function among p53-interacting proteins; several additional candidates are under study. Our drug discovery program involves searching for new p53 inhibitors and testing their potential therapeutic applications for reducing cancer treatment side effects and possibly other pathologies involving p53-inducing stresses. It is based on creation of new cell-based readout systems and high-throughput screening of chemicals with the desired biological properties. We are also isolating a new class of small molecules acting as modulators of multi-drug transporters that can greatly change the pattern of cross-resistance, including the ability to enhance their activity against certain compounds. The molecular mechanisms of activity of newly isolated compounds are being addressed, as are therapeutic fields for their practical applications.